Defending State Champion Riley Burger leads two other returning State Medalist in the Class 4 Girls Triple Jump. 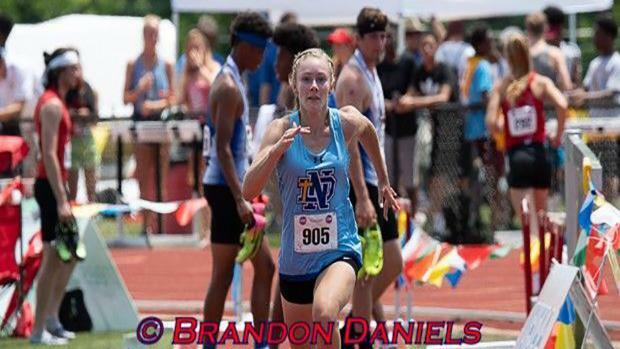 In addition to being the Class 4 State Champion, she also won the Emerging Elite Division at New Balance Outdoor Nationals with a massive 41-2 leap, which over two feet farther than the next best returner. Last year's runner up Taris Jackson leads 5 returning State Medalists in the Class 4 Boys Triple Jump. After placing behind his Carthage teammate Arkell Smith last year, Jackson will look to claim his own State Title this year. His PR of 45-10 has him as the top returner in Class 4 (albeit Carthage is likely moving to Class 5) and sets him up to be the favorite in 2019.